It is 446 km long, up to 29 km wide and attains a depth of over 6,000 feet. 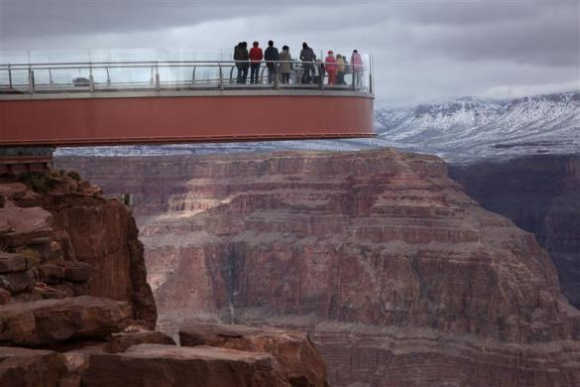 The Grand Canyon Skywalk is a transparent horseshoe-shaped cantilever bridge and tourist attraction near the Colorado River on the edge of a side canyon in the Grand Canyon West. 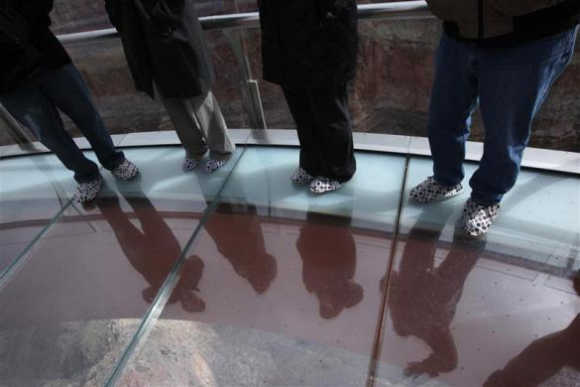 The skywalk is in the middle of a battle between the Native American tribe, on whose ancestral land it was built, and the company that has spent $30 million to construct it. 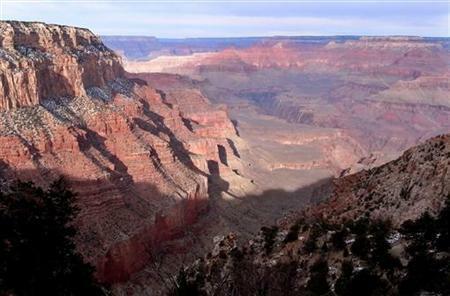 The Arizona Indian tribe has wrestled control of the management and taken over the running of the site, which is estimated to see 3,000 tourists per day. Let's take a look at the beautiful skywalk. Image: Let's take a look at the beautiful skywalk. Visitors have a view of the Grand Canyon and the Colorado River flowing below from a skywalk extending out over the Grand Canyon, on the Hualapai Indian Reservation, Arizona. 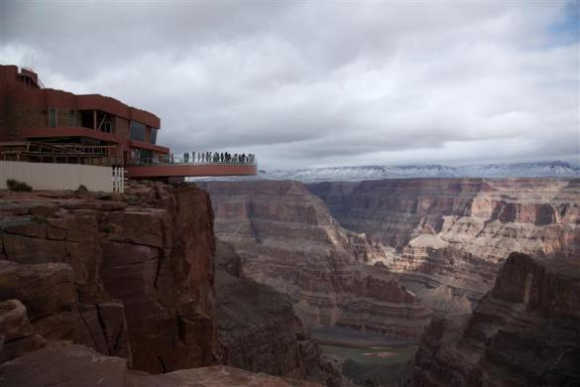 Visitors have a view of the Grand Canyon and the Colorado River flowing below from a skywalk extending, on the Hualapai Indian Reservation, Arizona. 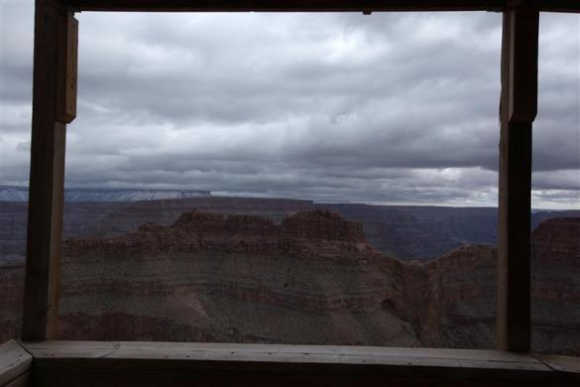 A view of the Grand Canyon is shown from an upper level of an incomplete building housing a skywalk, on the Hualapai Indian Reservation, Arizona. 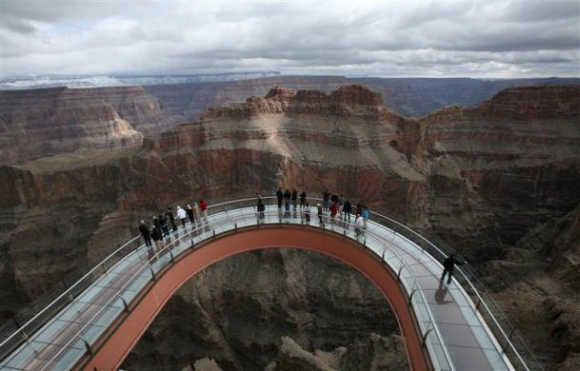 A skywalk extends out over the Grand Canyon, on the Hualapai Indian Reservation, Arizona. 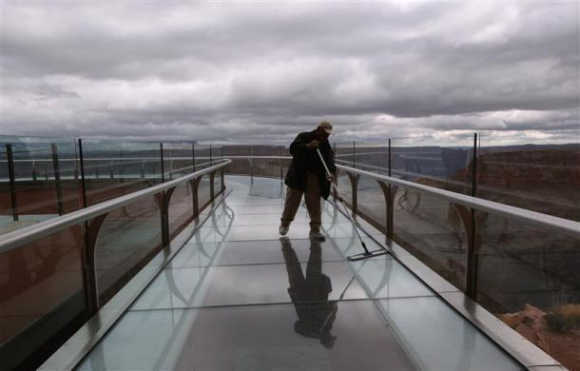 A man polishes the glass on a skywalk extending out over the Grand Canyon, on the Hualapai Indian Reservation, Arizona. 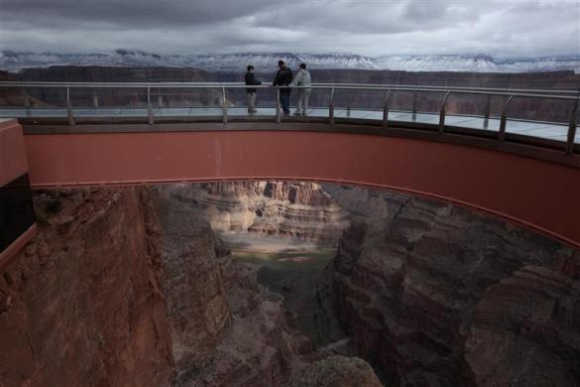 Visitors stand on a skywalk extending out over the Grand Canyon in this view on the Hualapai Indian Reservation, Arizona. 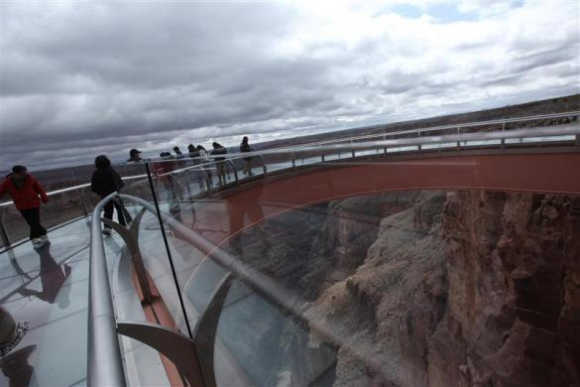 Visitors have a view to the Grand Canyon below from a glass skywalk overlooking the Grand Canyon and the Colorado River, on the Hualapai Indian Reservation, Arizona. 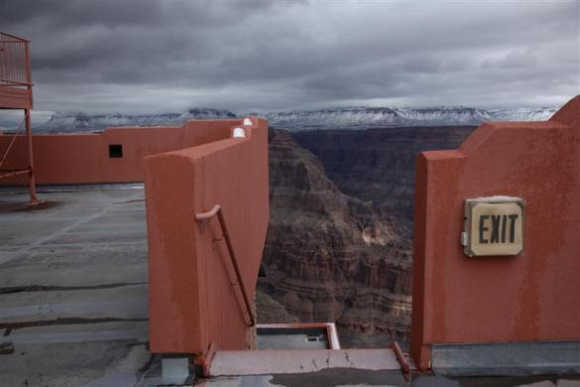 A view of the Grand Canyon is seen from an unfinished walkway at a skywalk overlooking the Grand Canyon and the Colorado River below, on the Hualapai Indian Reservation, Arizona. 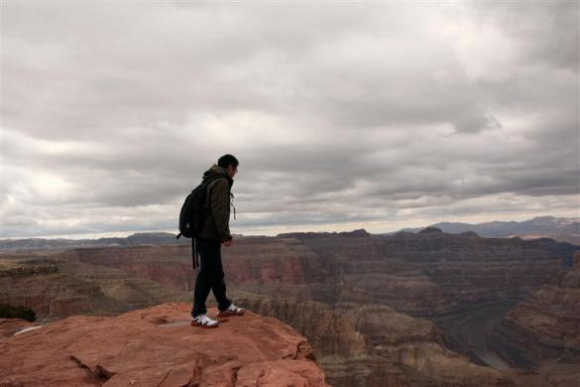 A tourist peers over a ledge overlooking the Grand Canyon and the Colorado River below, on the Hualapai Indian Reservation, Arizona.